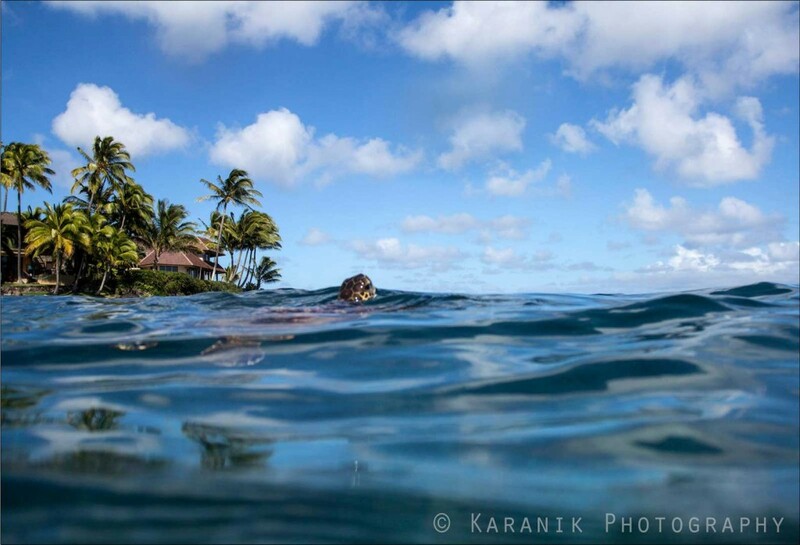 A green sea turtle pops up to say hello to curious snorkelers at one of Maui’s shallow shorelines. Palm trees, vacation home, soft clouds, and crystal clear water complete this picture of paradise on a windless Maui morning. Sea turtles are abundant here in recent years. Finding and watching one usually takes only sitting still and watching the shores for an hour or less. Paul Karanik is a nature photographer specializing in landscapes and seascapes that capture the energy of the Hawaiian Islands.